On the morning of May 29th, Roseanne Barr was doing one of the things she does best: spewing hatred on the internet. By midday, her Roseanne sitcom revival had been canceled. While some may rush to applaud ABC, the show’s carrier, for this swift move, we must not forget that they are also responsible for putting back on air in the first place. Controversy has followed Roseanne Barr for the entirety of her career. In fact, controversy is how she has made her money for decades. But the problem with controversy is that it can be impossibly difficult to know when you’ve gone too far. That was what happened to Roseanne Barr during a Tuesday morning tweetstorm wherein she attacked Chelsea Clinton and former President Barack Obama advisor Valerie Jarrett. The attacks on Clinton were par for the course for Barr, whose Twitter timeline is packed with conspiracy theory nonsense. In this instance, she made false claims that Clinton had married into the family of the right-wing’s perpetual target billionaire George Soros. But things went off the rails when she trained her sights on Jarrett. Yes, it’s 2018 and conservatives still think they’re clever for calling Black people apes and monkeys. But the tweet that Barr claimed was a joke did not go over well. Before the day was out, Barr had lost her agency representation, any likelihood her show would even be considered for an Emmy, and series carriage on Hulu, Viacom networks (CMT and TV Land) and the Laff Network. ABC Entertainment President Channing Dungey put out a one-sentence statement in response. Was this the right move? Yes. Was this a “bold” or “courageous” move? Not so much. Sure, canceling Roseanne was no easy choice for ABC to make. As The Hollywood Reporter noted, Roseanne was “the highest-rated and most-watched series of the broadcast season, eclipsing NBC’s This Is Us and CBS’ Big Bang Theory — which had been in a heated battle for top status.” And this wasn’t a cheap decision either. Figures from measurement firm iSpot.tv estimate that canceling the series cost ABC $22.7 million, the amount the network booked in advertising revenue from the nine episodes of the now-canceled sitcom. Any business would take pause before choosing to pass on money that large. But putting the inflammatory Barr back on network television was bound to lead to this dumpster fire. ABC set themselves up for this the moment they commissioned Roseanne‘s return. These views and her outspokenness aren’t new. 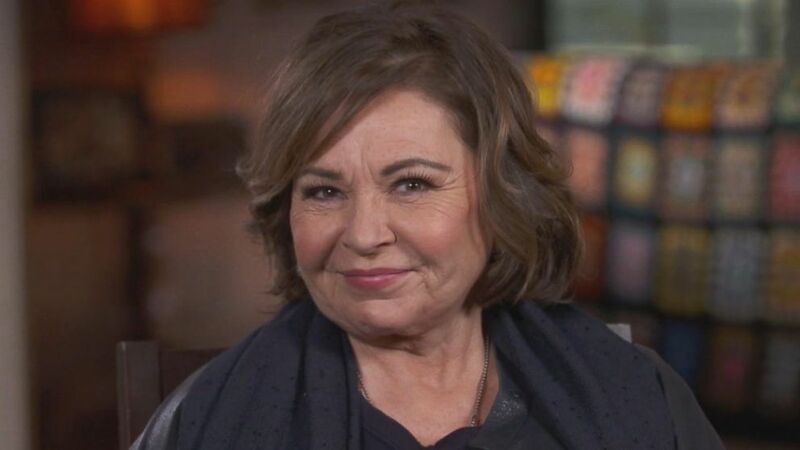 ABC knew who Roseanne Barr was, what she was about, and the risks they were taking in signing her up. I’m sure there were risk assessment meetings prior to the series’ pickup, hashing out all the network stood to gain or lose. The important thing to note here is that the final decision was to bring the show back. And I’d bet that the show was brought back precisely because of why it was just canceled. Barr was guaranteed to bring press, controversy, and as a result, high ratings. ABC could hold their nose and stomach all that came along with being associated with Roseanne Barr as long as those ratings looked right. And appealing to “Trump’s America”, no matter how racist or hateful that audience might be, meant money for the network. The most shocking fact about all of this is not Barr’s narrow-minded comments; it’s that ABC was in the business of promoting her work in the first place. For better or worse, ABC got what they wanted here. Let’s be crystal clear. This wasn’t some moral or ethical stand the network was making. If corporations are people, they are the most selfish beings ever to walk the earth. This was a business decision based on dollars and cents. The only reason Roseanne was canceled was because her pot stirring passed the point of being profitable. And we should not be thanking ABC for solving the problem they created. More importantly, who really lost in this whole situation? Roseanne Barr surely was paid nicely for her return. ABC surely raked in the ad dollars from the one season run. All things considered, both of those parties came out ahead in the end. The real losers here are you and I. While we dance on Barr’s sitcom grave, we have to remember that the Roseanne show is much more than the people we see on screen. All the cast and crew who thought they had a guaranteed job in the fall after the show’s second season was announced are now left scrambling for work. And they didn’t do anything wrong. Furthermore, this show was another tool for whipping up the Trump fan base. It gave them more legitimacy and another mascot for their fury. They had Trump in the White House championing their bigoted beliefs and Roseanne on TV serving them over laugh tracks. And now Barr will be their martyr. All the while, ABC and its parent company Disney were reaping the revenues. Once again, a corporation was more than willing to seek profit with little to no regard for how its actions would affect the world. This mainstreaming of bigotry only makes the work of those fighting for equality, basic human rights, and justice that much more difficult. And I’m not going to laud a company for eliminating the evil they encouraged and offered a platform to in the first place.